Buy from a Seller you Trust! Look at the Photos and Dimensions! 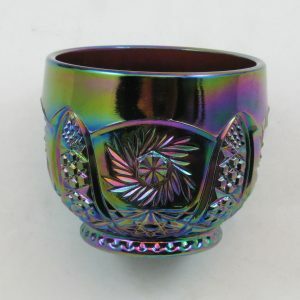 We have over 40 years’ combined experience with buying and selling carnival glass. Pretty Examples are Always Best! All glass on this site is scrutinized for being worthy on a higher level than average! Add Some Rare and Harder to Find Pieces to your Collection! A great selection for all levels of collectors! For those of you who like rarities, check out the Rarities category! Remember… No Two Carnival Pieces are Exactly the Same! There are pages and pages of beautiful items here! Search for what you want or just browse our categories! The Prettier the Glass is, the More You’ll Enjoy Looking at It! Let us be your source for stunning glass! Buying? Selling? You came to the right place! Buy Carnival Glass – Upgrade Your Collection or Give Gifts! Is it time to upgrade a piece or your entire collection?! 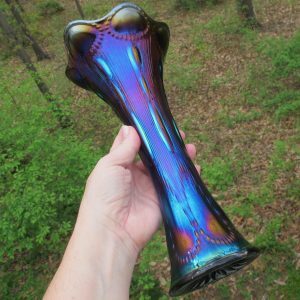 One of our missions is to bring you the best carnival glass pieces we can find! Whether you crave rarity or electric iridescence or pumpkin or frosty pastel ice pieces or the best pieces in a certain pattern or by a certain maker… we got you! This isn’t the site to find humdrum pieces. Some of the glass we offer is from our personal collections and some is from the collections of others. All glass on this site is scrutinized for being worthy on a higher level than average! Another one of our missions is to provide an optimum selection for all levels of collectors! 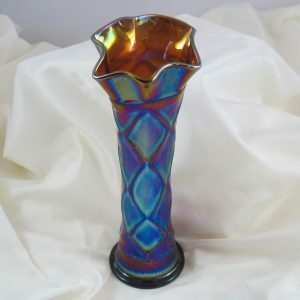 For carnival glass, we will at all times offer pieces by Northwood, Fenton, Millersburg, Imperial, and Dugan. 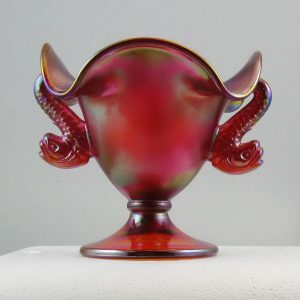 Others include U.S. Glass, Eda, Rindskopf, Riihimaki, Fostoria, Cambridge, Westmoreland, Brockwitz, Inwald, Jain, Sowerby, LG Wright and Walther. 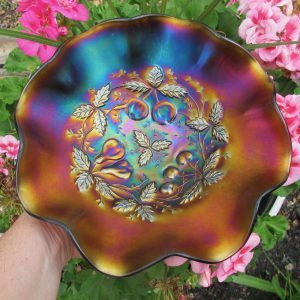 We also offer outstanding antique and contemporary enameled and/or iridescent art glass including, Loetz, Moser, Rossler, Mt. Washington, Webb, Zellique, Vandermark, Levay (Levi), Gibson and Bohemian, Czech or French in origin! Now we are also offering cameo art glass by Chris Carpenter and Kelsey Murphy! We have over 40 years’ combined experience with buying and selling carnival glass and therefore have a good idea of its value. 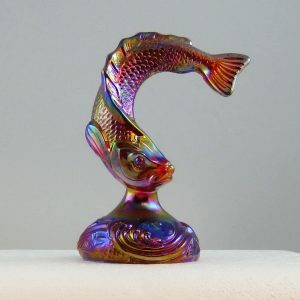 Our glass prices are fair and determined based on rarity, color, condition and, with respect to carnival and iridescent art glass, quality of iridescence. *We do not do appraisals. 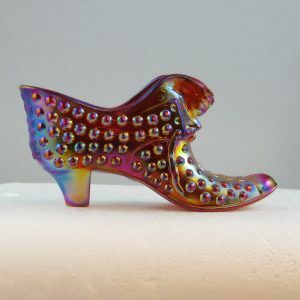 We have an extensive amount of carnival glass (over 6,000 pieces), as well as art glass, and will be posting more as we can. If you’re looking for something in particular, don’t hesitate to inquire! We just may have it! Add yourself to our New Items Notification Email list in the right hand corner of the page. 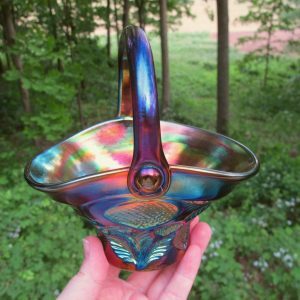 Because carnival glass collectors appreciate other types of glass, we specialize in carnival, opalescent and art glass from all eras! There are other lovely items to purchase here as well! Make shopping for friends and family easy by doing it here! Whether it is a holiday or a birthday… let us help! 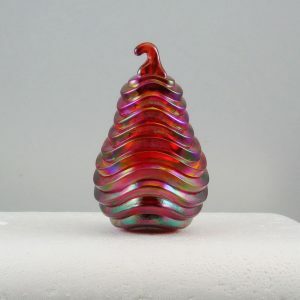 Find your Fenton glass and other items here among our pages! Let us be your source for beautiful glass! Often folks need to sell glass. Whether the need to sell is because you are downsizing, or changing your collection out… or perhaps you inherited some glass that you would like to sell. We primarily buy from private collections! Please contact us if you have a collection, or pieces from your collection, that you’d like to sell! To indicate your interest in selling, please click on Contact Us above or give us a call (386) 227-6482. 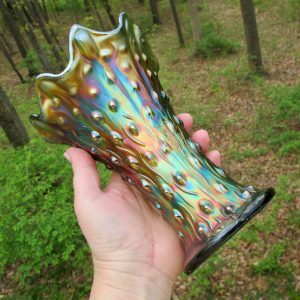 We buy carnival glass and art glass!